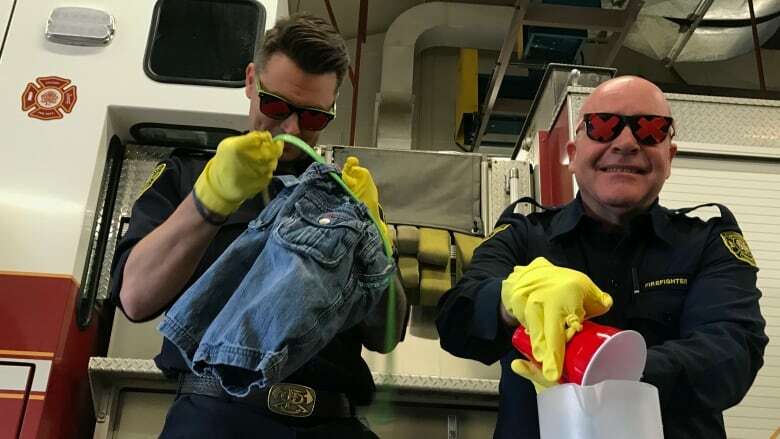 A group of Calgary firefighters took a hands-on course Tuesday that's designed to give them a sense of what it might be like to have dementia. A group of Calgary firefighters took a hands-on course Tuesday designed to give them a sense of what it might be like to have dementia. The training at Station 29 in Coach Hill was part of the Brenda Strafford Foundation's Dementia Friendly Communities Project, a pilot project aimed at providing front-line dementia education to first responders. 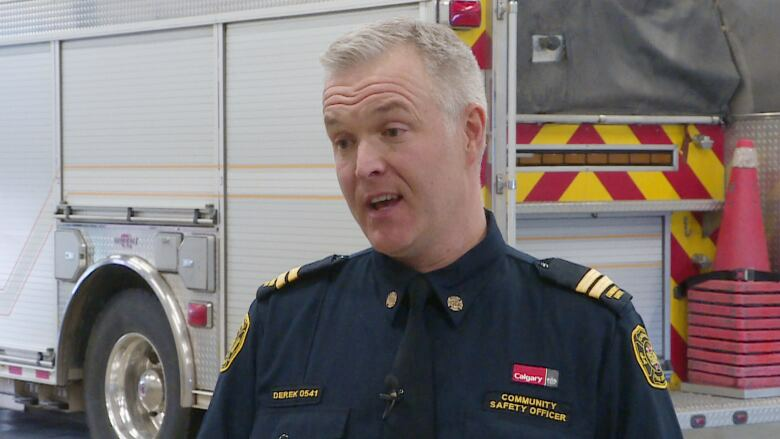 "We hope the firefighters will have a different perspective just of the challenges and what it's like first-hand to actually have dementia," said Derek Arthurs, a community safety officer with the Calgary Fire Department. "We know that over the next 15 years the number of Calgarians with dementia will double, and we want to educate our firefighters to ensure that they can deliver the best service possible to Calgarians." In addition to a lecture session, participants take part in various activities designed to show them some of the issues people with dementia face. Dementia awareness training, both online and in-person, will be provided to all Calgary firefighters in February and March. One activity involves trying to thread a belt through a pair of pants while wearing glasses that block their vision, and plastic gloves with knotted fingers — all while being distracted by loud music. Navjot Virk, the research and innovative practices co-ordinator with the Brenda Strafford Foundation, said one of the key aims of the project is to teach the firefighters to pick up on subtle signs that a person might have dementia. "Really, the goal is to educate about the signs and symptoms of dementia as well as equip them with tools and resources so that they can support individuals in the community that may be impacted," she said. Virk said the foundation is also working to offer its training to EMS crews, Calgary police officers and people who work in pharmacies, banks, restaurants and grocery stores. "Research tells us that dementia friendly communities help people impacted by dementia and their caregivers feel included, safe and supported in the places where they work, live and socialize," she said.